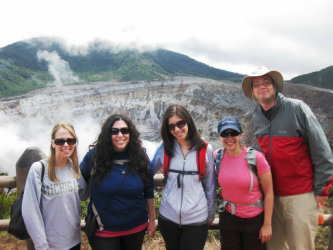 Beaches, volcanos, hot-springs, horseback riding and more! Visit Corcovado National Park, one of the most bio-diverse places on earth! 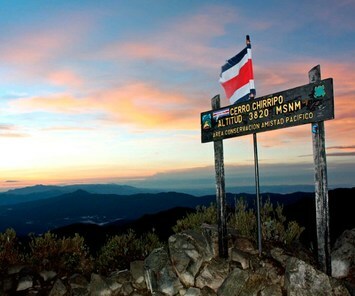 Summit the Chirripo, Costa Rica's tallest peak! Rain-forest hikes, coffee plantation visit, surfing lessons! Our unique trip begins visiting the Capital San Jose, as well as its thriving Jewish Community. We continue with an a visit to historic Cartago and the Irazu Volcano, enjoy the hot-springs of Orosi and prepare to summit the Chirripo (optional). Later, we will head to the Pacific coast village of Dominical where we will learn how to surf, visit the amazing Nauyaca waterfalls by horseback, spend a day in Corcovado National Park where we will hike in pristine jungle, snorkel Cano Island, swim in the lovely beaches and enjoy a sunset catamaran voyage looking for dolphins and whales. Please note that if you do not wish to partake in the some of the tours, you may opt out and we will reduce the cost of your trip accordingly. 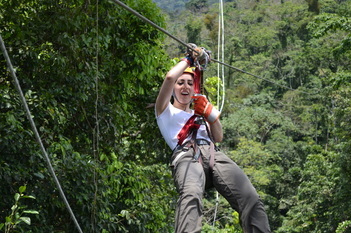 ​Our tours are organized by Greener Travel Company, LLC. 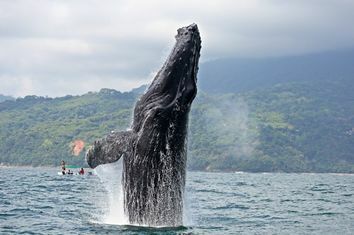 The company was founded by Ami Greener, an experienced and enthusiastic environmentalist that has been captivated by the unique beauty of Costa Rica. 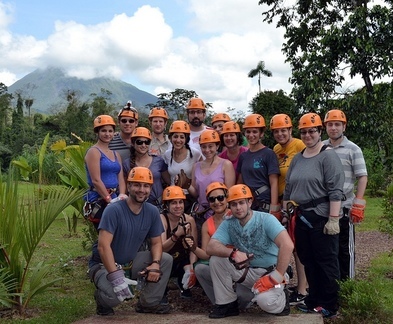 By forming personal relationships with local providers in Costa Rica (hotel owners, activity outfitters and more), we are able to offer a tailored experience to both individuals and couples traveling alone and looking to explore the area, as well as group tours which a member of our staff or local Costa Rican associates will guide. 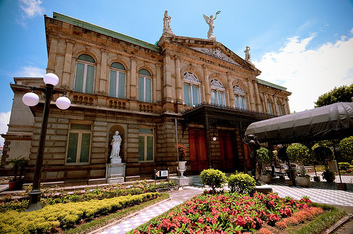 After visiting the local Jewish museum in San Jose, we will head south, to the historic town of Cartago, followed by a visit to the Irazu - the tallest active volcano in Costa Rica. Later, we will arrive in Orosi, a historic, tranquil and serene community surrounded by lush forest and towering pine trees. 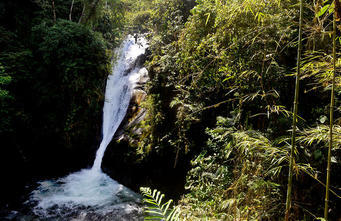 This evening, we will enjoy some of the best volcanic hot-springs in Costa Rica! 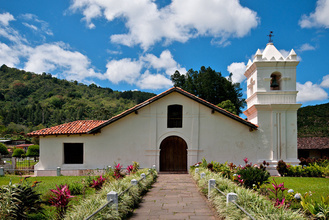 Today, we will enjoy a guided visit of the historic Orosi Valley, a tour of a working coffee plantation and a visit to the Ujarras Ruins – site of the oldest church in Costa Rica! Later on we will transfer to San Gerardo de Rivas, a tranquil village and a gateway to the Chirripo National Park – and prepare for our big day climbing the tallest peak in Costa Rica tomorrow. Tonight the guide will brief us about the climb, and we will prepare overnight bags that will be taken up by porters up to the refuge where we will be spending next night. Cerro Chirripó, Costa Rica’s highest peak, rises 12,533 feet above sea level and offers sweeping views of the surrounding Talamanca Mountains. Its dramatic peak is reached via a 12.4-mile (20-km) trail that rises over 7,218 feet (2,000 meters). 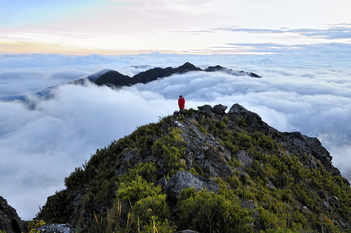 Along the way, we will pass through cloud forests and páramos—a unique ecosystem found only at high elevations in the New World tropics. From Chirripó’s summit, sweeping 360-degree views tumble down over graceful valleys and shimmering lakes. On clear days you can see both the Caribbean and the Pacific! Today's hike will be 15 km long, and take about 7 hours. 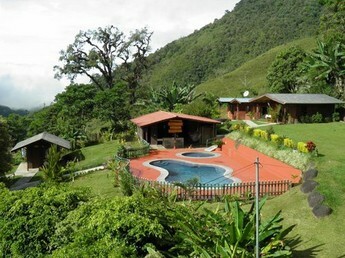 We will arrival to the Paramo station near the peak, and have lunch and dinner at the station. technical hike (32 miles in two days) so you should feel confident and be in good shape to make the hike. 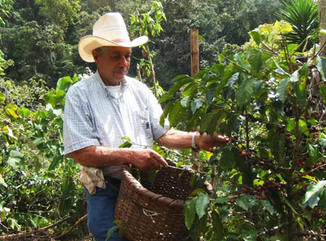 - Visit the Elizondo Valverde family home and learn about sustainable practices organic farming. - Visit the artisan production of Swiss cheese in the neighboring community of Canaan. - Visit the Secret Gardens which offers trails with easy access where you will pass through different habitats with a wide variety of bromeliads, orchids and heliconias among other tropical plants. Ideal for lovers of photography. 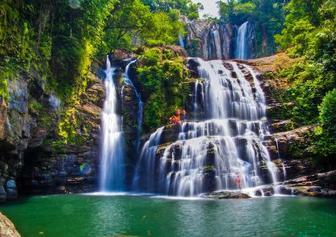 - Hike the trails which lead to beautiful and impressive waterfalls. Along the way, observe and learn about the biodiversity of flora and fauna in the forests bordering Chirripo National Park. After breakfast at the Paramo station, we will walk the last 5 km to the top of Chirripo! After taking in the view, time to return down the hotel, where we will have lunch. This afternoon it's time to head on to the second part of our trip - the Pacific coast, and the beachside village of Uvita, and the wild Costa Ballena beaches. 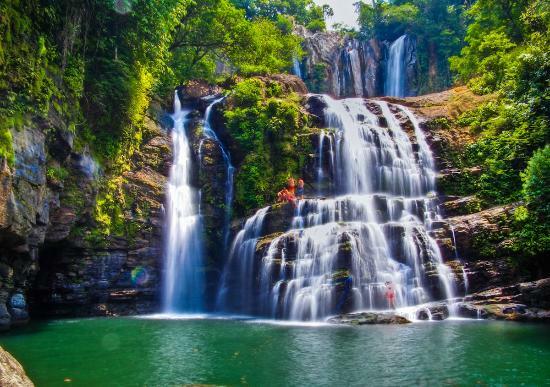 We will mount horses and head to the breathtaking Nauyaca Waterfall where we have a horseback riding tour to the waterfalls. After chilling in the falls, we will return down to the coast to take on the beautiful sunset! This morning, its time to head to the lush jungles of the Corcovado National Park – and reaching the park by boat, we will will be going through the Marina Ballena National Park, where you will see dolphins – and whales! National Geographic has called Corcovado "The most biologically intense place on Earth"- and indeed this is the jewel in the crown of Costa Rica's national park system. 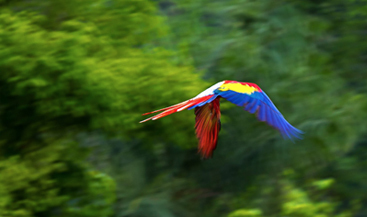 Located in the remote Osa Peninsula of the southern Pacific coast, Corcovado's primary rainforests host an abundance of wildlife that will amaze any visitor. More than 500 species of trees, 367 species of birds, 140 of mammals, 117 of reptiles/amphibians and 40 species of freshwater fish make Corcovado their home. Several hundred miles of foot trails criss-cross the park making even some of its most remote corners of the park accessible to the adventurous soul. 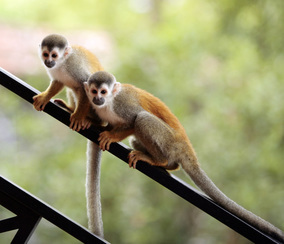 Here you can wake up to the calls of the howler monkey and if you get lucky you might even get a glimpse of a Jaguar, American Crocodile, Caiman or a Baird's Tapir which are critically endangered or absent in the rest of the country. We will get back to town, and head out for dinner in Dominical, a charming village nearby. This morning it is beach-time - time to relax after our long week, stroll along the beautiful beaches nearby, stare at the ocean and read a book. During the day we will be offering yoga sessions as well as surf lessons. 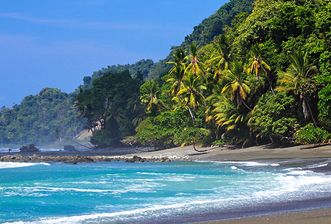 Surfers worldwide make their way to Costa Rica year after year for the tremendous selection of perfect breaks for every level of experience; Dominical's beaches boast a wide variety of unique breaks that make it the perfect location for everyone. We will be renting boards and taking lessons from one of the best guides in town - no matter what, the surfs up and you’re going to love it! 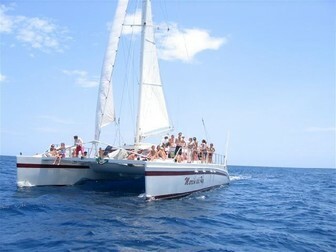 This afternoon, we will go on a catamaran tour where we will snorkel, have lunch and enjoy the blue Pacific waters. Later, we will gather at sunset for the begging of Shabbat - and our Friday night meal. Today is Shabbat, and a day of rest – and depending on what you are up to or your level of Shabbat observance, you can chill during the day, explore the area and/or partake in some activities: beach-walking, zipline experience, another surf lesson, visit an animal rescue center and more. Later today we will drive back to San Jose - for our last night in Costa Rica, and a chance to check out the cities weekend nightlife! 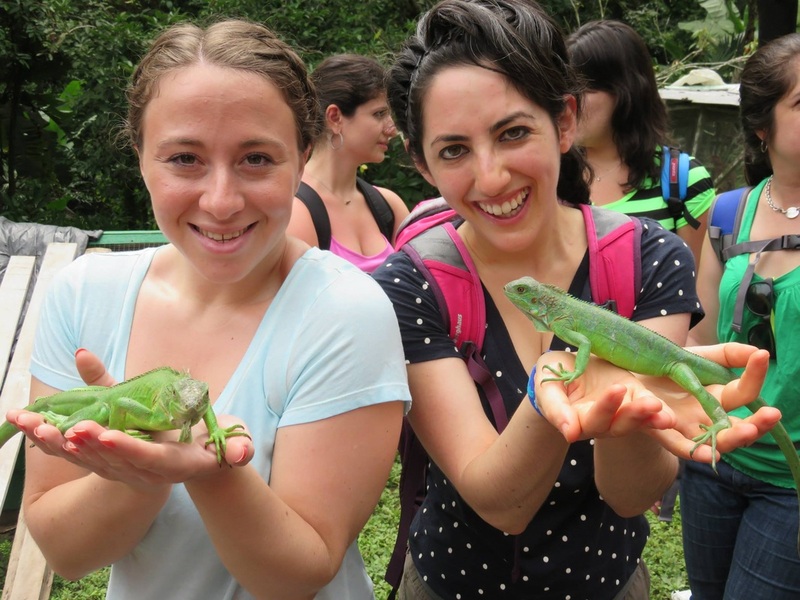 The Costa Rica trip will take place from Saturday, February 18 to Sunday, February 26, 2017 (8 nights in total; 9 nights for those wishing to arrive on Friday, Feb. 17). We will be meeting at and leaving the San Jose international airport (SJO). We ask that you plan to be on a flight that will land in San Jose by 4 pm on February 18. If you decide to arrive a day earlier, please arrive by 3 pm on Friday, Feb 17. Your flight home can be any time on Sunday, Feb 26. 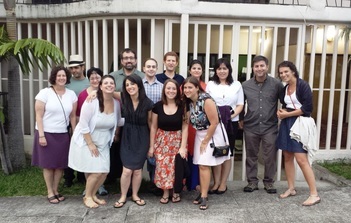 If you observe the Sabbath you have an option of arriving on Friday and spending the weekend in San Jose, attending services in the Jewish community – or arriving Sunday and joining the group during the trip. If you want to arrive a day or two earlier, or choose to leave later, please let us know how we can help you experience more of this magnificent country. We can arrange for a pick-up or drop-off in another part of San Jose at the beginning or end of the trip. If you are interested in this option, please let us know! For our times in the mountains we will stay in the comfortable Rio Perlas Hotel and Pelicano Lodge, and on the pacisif coast we will be staying in the Mar y Selva Ecolodge. We provide all transfers during the week using an air conditioned van or minibus, driven by a professional driver that will be with us throughout the trip. Registration for this trip is closed. Please check our August 2017 Costa Rica trip. The early bird price of the trip is $2180. Price is per person, for double occupancy accommodations. A single supplement is available, based on availability, for an additional fee of $500. There is an additional cost of $150 for those adding one day and arriving on Friday, March 24, and $70 for those choosing to summit the Chirripo. 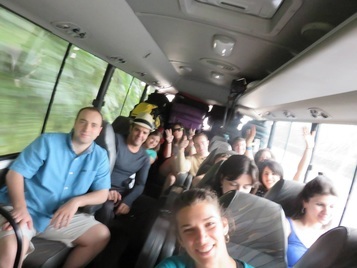 Our trip will have a maximum of 24 participants, and a minimum of 8. Once we call the trip, the $300 deposit becomes non-refundable - we need to enforce this policy in order to cover loss from last-minute cancellations. After that we will provide you with the link to make the rest of your payment. We have limited availability, and will be closing registration on December 20, 2016.